Set on Ocracoke Island in the Outer Banks of North Carolina, approaching Halloween festivities find Billy, Daniel, Stephanie, and Mark exhausted from their trip to sea to give their eccentric friend Mrs. Nemmish the pirate burial she insisted on. But now they are trapped in a tunnel, locked in by Zeek, local scoundrel and direct descendent of Israel Hands, who is racing against them to find the hidden treasure. Is the treasure’s location on the map that Zeek took from them, or could it be in the very tunnel where they are tripping over skeletons and struggling to find another way out? 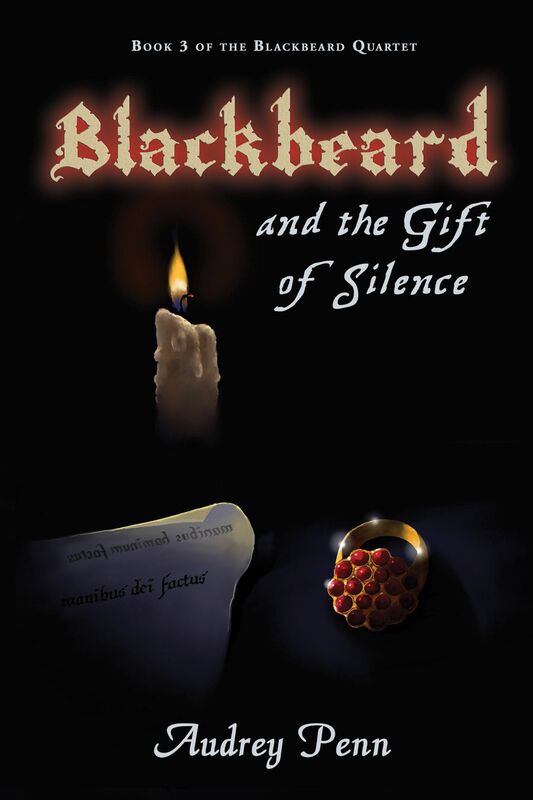 Luckily, they have allies – ghostly allies of Blackbeard and Mrs. Nemmish herself, who has been taken on board the ghost ship Queen’s Anne’s Revenge. 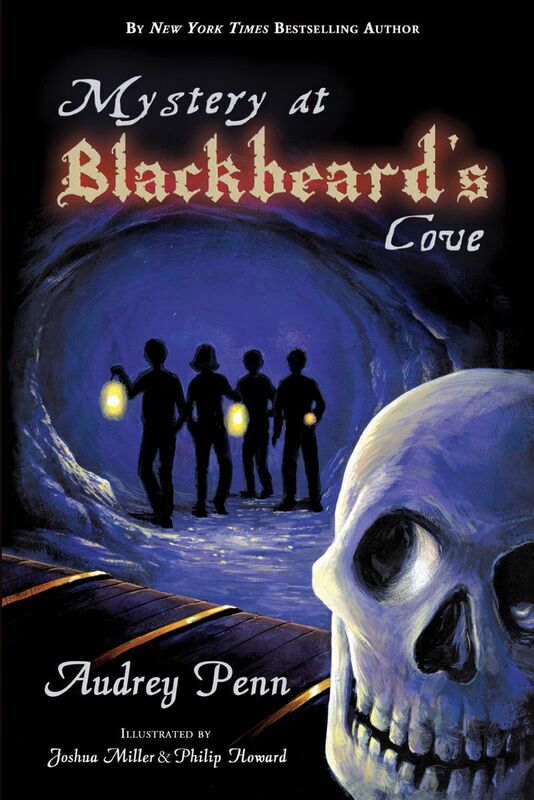 This rollicking tale magically combines this unruly group of youngsters, Blackbeard’s ghost, secret tunnels, skeletons, hidden treasure, a very mysterious inheritance, the Bermuda Triangle, the Underground Railroad, and a hurricane hitting the Outer Banks in a page-turning delight, full of mystery, laughs, suspense, and adventure. This book also captures much of the essence and rich history of this fascinating location. 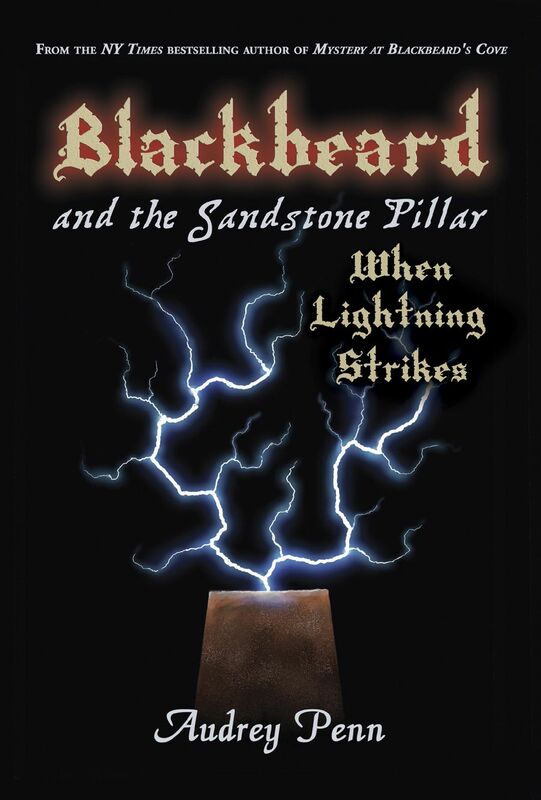 After 30 years of regular visits to Ocracoke Island, the author has come to know the place and the people, and has enriched this fun tale with real characters, locations, lore, and legends passed down through the generations of residents from the days when Blackbeard had his hideout there. This book is a history lesson of the greatest kind – with the past and the present wonderfully and entertainingly intertwined. 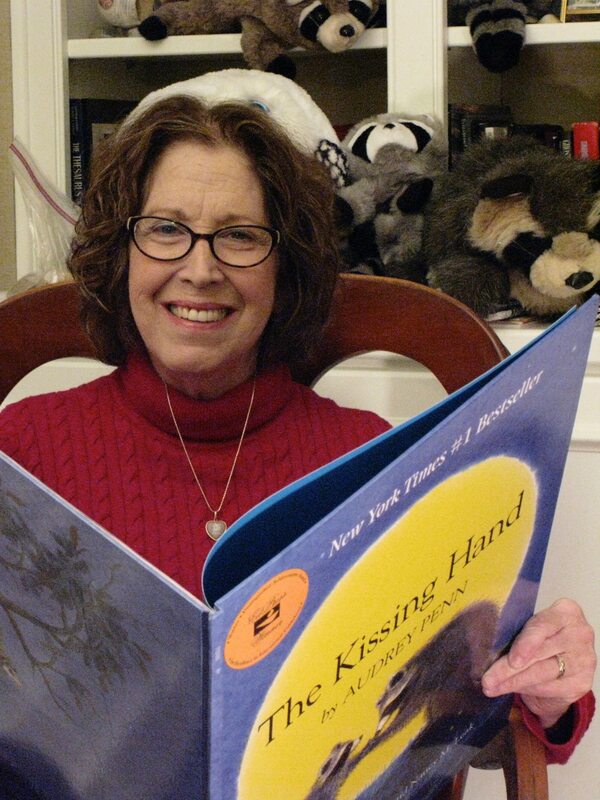 Audrey Penn is the author of the New York Times bestseller The Kissing Hand. This first foray into a chapter book format demonstrates that Ms. Penn’s talent at storytelling is apparent in any form. She currently resides in Durham, NC. Artist Josh Miller lives in McLean, Virginia, just outside of Washington, DC. Artist Philip Howard resides on Ocracoke Island, NC, and is a direct descendant of William Howard, quartermaster for the infamous pirate known as Blackbeard.